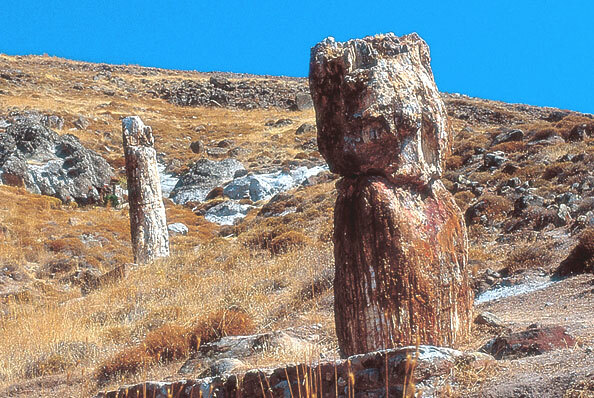 The Petrified Forest of Lesvos is a petrified forest ecosystem made up of hundreds of lying and standing fossilized tree trunks which were covered by volcanic material and petrified in place 20 million years ago. Layers of volcanic ash have revealed pieces of trunk, branches, roots, seeds and leaves as well as fossilized animal bones. Important concentrations of fossilized remains can also be found in the marine and seashore zones of western Lesvos. The region of the Petrified Forest is further characterized by impressive volcanic geotopes, witnesses of the intense volcanic activity in the past. 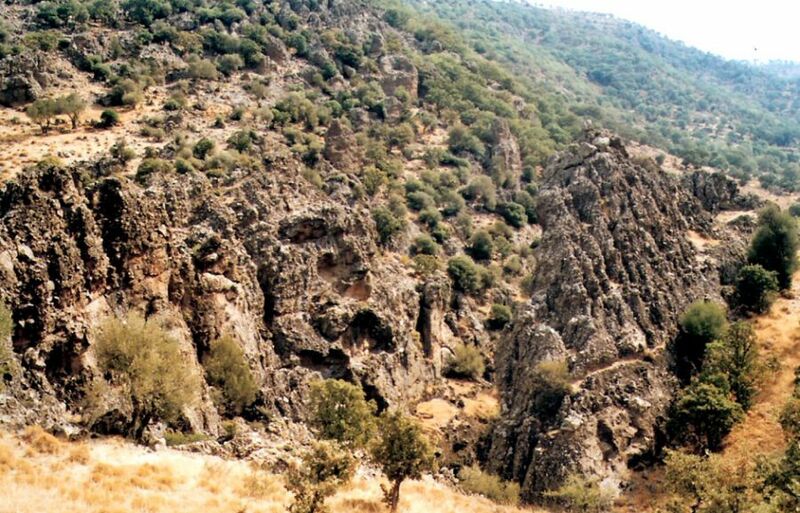 This region could be characterized as a window on the geohistoric development of the Aegean over the last 20 million years. A Presidential decree (433/1985) has established the forest as a protected national monument. A founding member of the European Geopark Network since 2000, the Petrified Forest of Lesvos was included in the Global Geoparks Network of UNESCO in 2004. Due to its great ecological value, a great part of western Lesvos (16600 hectares) under the name the “Petrified Forest – Western Peninsula of Lesvos” is included in the “Natura 2000” list of important areas for natural protection in the European Union. The area is characterized by three important ecological regions: the western peninsula zone which includes the Petrified Forest with its micro-environments which host rare and threatened species of flora and fauna, a marine zone around the rocky islet of Nisiopi or Megalonisi, and the pine forest of Pteroudas – Parakilon in which exists the Rhododendron luteum, unique to Greece. In western Lesvos, natural erosion is gradually bringing to light fossilized pieces of trees which, in the remote past, were once alive. They have been there for years beyond computation, witnesses to an unrepeatable act of creation, monuments of nature. This is an entirely different world, totally still, but at the same time so full of life. The visitor has the impression that no great length of time can have passed since these trees were covered with volcanic ash from the endless wave of volcanic explosions in the northern Aegean. The forms of the trees have retained their individual characteristics to such a degree, the outer surfaces are so well preserved, the fruit, the leaves, the branches and their roots are revealed in such detail that they have everyone fooled. This place could be termed "the Pompeii of the plant world". Today scientific research and human efforts have revealed impressive standing and lying tree trunks. The diameter of the largest standing trunks exceeds 3 meters and their height 7 meters while many lying trunks exceed 20 meters in length. The presence of well-preserved fossilized root systems defines the uniqueness and importance of the Petrified Forest of Lesvos since these systems are an indicator that the forest is indeed indigenous. The Natural History Museum of the Lesvos Petrified Forest. The Museum of the Lesvos Petrified Forest was established in 1994 in order to study, research, promote, preserve and protect this invaluable "testimonial" of life in the distant past. The year 2000 marked the establishment of the European Geopark Network, its objective being the cooperation of geologic parks and monuments at a European level for the development of geotourism. 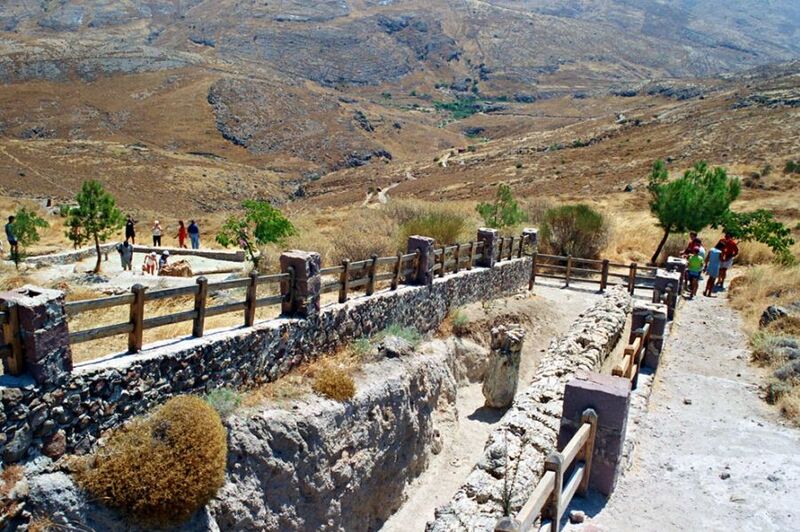 The Natural History Museum of the Lesvos Petrified Forest is a founding member of this network. 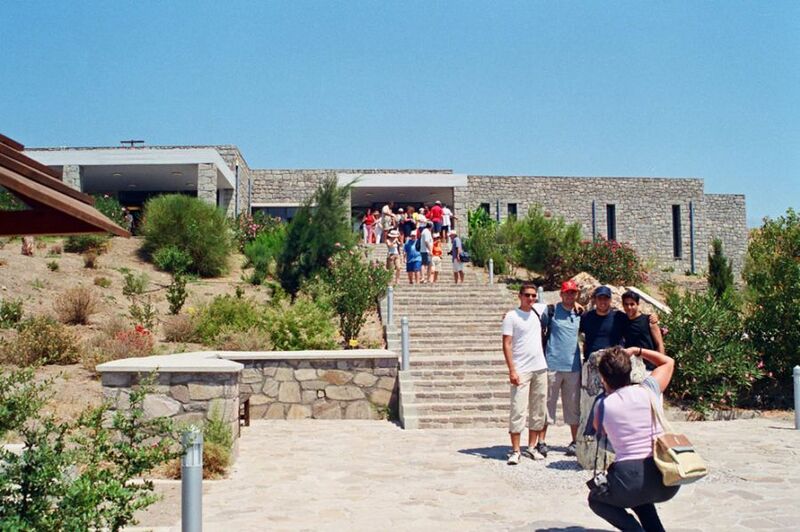 In 2001, the museum was awarded the Eurosite Management Award for its effective management of the Lesvos Petrified Forest. 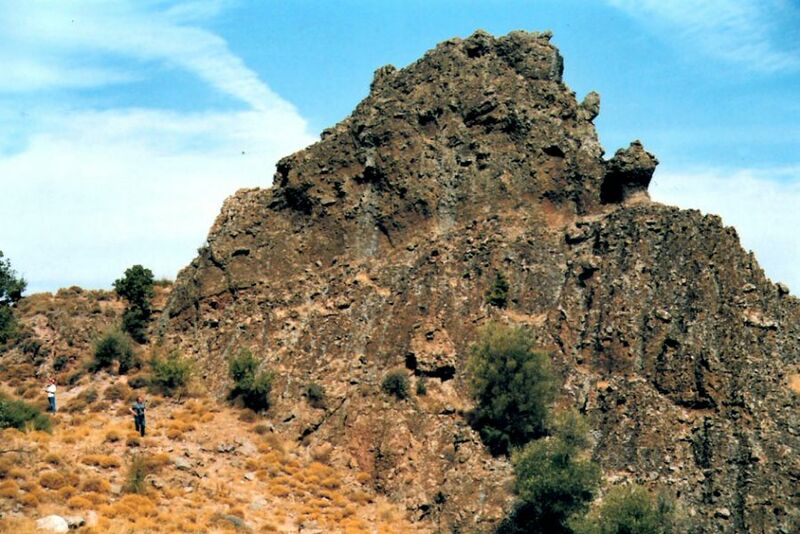 In February of 2004, the Petrified Forest of Lesvos was inducted into the Global Geopark Network of UNESCO.